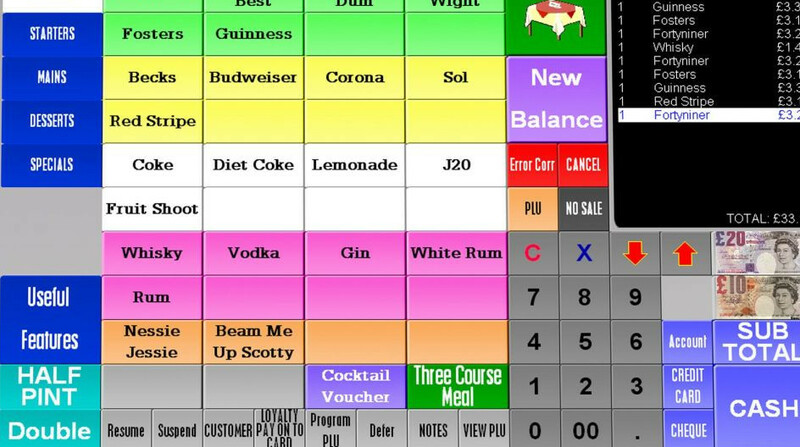 Why not invest in a budget EPoS system in Birmingham area? Rental tills offer many different types of business a way to budget monthly and yet invest in modern technology. An EPoS till system will allow you to manage your business more effectively and give you tools to help grow and maintain customers and staff loyalty. Pubs, bars, nightclubs, coffee shops, takeaway outlets and restaurants have all taken advantage of the rent a till options from Business Reply. Why not have a look at the benefits it could bring your business in Birmingham and the surrounding West Midlands areas? By renting a budget EPoS System in Birmingham area from Business Reply you will have the benefit of full support for the duration of the rental term. Support will be given by our friendly and knowledgeable engineers for any issues you may have after installation and in the day to day running of the tills. So for a set amount each month you will be able to have modern touchscreen technology at your fingertips. Keep ahead of the game and your competitors even if you are a small business with one till. You pay an agreed amount each month per terminal for your agreed term – so you can budget for the monthly costs with no hidden charges. Is my EPoS till set up for me ready to go? Yes we configure the till for your business needs with products, prices and staff details. We then install on site, give training to staff and leave you with a ready to go till with contact to our engineers should you have any teething problems. Do I have to pay anything else other than the monthly charge for use of the till? Can I change the length of time that I rent a till for my business? Yes the EPoS tills will be supported for the duration of the rental agreement. What are the benefits of renting a till from Business reply? You can try out technology to see if it will suit your business and staff for a pre-agreed monthly amount of money without committing to buying outright. We are sure that once you use it you will find many benefits to using EPoS, as do all of our clients, even for small business outlets. By paying a monthly amount you know how much your business will be paying upfront – this will allow you to budget accordingly. You can invest in modern touchscreen technology with very little investment. Contact Business Reply for a no obligation quotation detailing up front costs and rental details – we’re pleased to help. We offer rental till systems in the West Midlands, Worcester & Birmingham area. Call 01527 514191 for more details or drop us an email. *If you want to keep the tills longer than your original term that’s no problem we can arrange this for you. It may involve signing a new contract after 12 months. If you want to stop renting the tills we may charge a fee to terminate the rental early but we will work with you to suit your needs as much as possible. Till rolls are extra. And as we any other business account we will hand seriously overdue accounts to a debt collection agency and costs may be incurred therein.